The use of Smartphones has increased meteorically over the past few years. A technology once limited to a small group of people, is now a staple for countless individuals across the globe. The prevalent use of Smartphones has also played a principal role in the expansion of the ecommerce landscape. With the rise in the number of those who now shop online, the need to optimize a mobile website comes into the picture. Before diving into the details, let’s take a look at some interesting statistics. According to comScore, 4 out of every 5 consumers in the U.S. shop using their Smartphones. Almost half of Smartphone owners intend to make holiday purchases using their mobile devices. ¼th of all Android and iPhone owners have used a shopping application within the last three months. The percentage of individuals who have shopped on their Smartphone has grown from 19% in 2011 to 34% in 2012. With the statistics listed above, it leaves little doubt as to how vital a mobile website is for a business to maintain a beneficial web presence. Introducing a mobile version of your website is no longer a perk you are offering. Instead, it is something you have to do in order to market your business the way it is supposed to be done. With a website in place, the next question to come to your mind is how to optimize it for those who are on-the-go. While you can easily opt out of having a mobile version of your website for your clientele, what cannot be denied is that you will be missing an amazing opportunity to outpace your competitors and penetrate deeper into the market. It is important for business owners to realize that in this scenario, users are not tethered to a monitor. They will be accessing your website for timely information, anything that can persuade them to visiting a store with intent to purchase. They do not have all the time in the world to explore the different features of your website and so the need to optimize a website for mobile devices cannot be emphasized enough. Optimizing your website is not about extending your client-base, it is about ensuring an enhanced user experience. With the best practices to do SEO constantly changing, some tips to successfully optimize your website so as to take it to the pinnacles of success are briefly listed below. 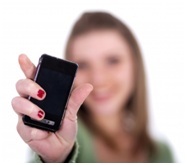 Before starting off with the development process of your mobile website, think things through. In order to establish convenience for your visitors, you have to determine what they will be expecting and how to deliver it to them. There are a lot of details that will be ideal for your website’s desktop version, but will be superfluous for a mobile website. 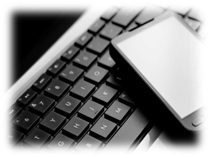 A visitor comes to your mobile website will an objective in mind. He/she is there to get hold of instant information like directions to your store or the timings you open. You have to make sure that the elements you incorporate in your mobile website strictly align with the user needs. While you may be tempted to use everything to accentuate the beauty of your website, what cannot be overlooked is that it will be accessed on a Smartphone or tablet. All the time and energy you will invest will not be worth it. You mobile interface should be simple and should only include the most essential features. Google has recently laid emphasis on aspects that were previously ignored, and branding is one of them. Instead of wasting your time on a template, have a custom mobile design that is not just responsive, but effectively complies with your brand colors, styles, images and fonts. Pop-Up Windows Are A Big NO NO! You might have copied pop-up windows along with other elements when carrying your website from desktop to mobile. This is one of the key points to remember because anyone who has had the experience of closing the extremely tiny ‘close’ button on the corner of the screen knows how annoying it can get. Do your users a favor, get rid of pop-up windows. Regardless of how you choose to structure your mobile website, one thing that you just can’t afford to forget is a link to guide visitors back to your desktop website. Despite the fact that the majority of visitors will come to you looking for specific information, there might be visitors curious enough to go to your desktop website in hopes of finding out features that you have left out in the mobile version. Also, visitors are most likely to get frustrated if they are stuck with only the mobile version of your website. Make sure your visitors know they can navigate back to the desktop version if desired. Tests have proven that mobile users prefer websites that have content specifically tailored for mobile devices. By having an appealing and easy to navigate mobile website, you can ensure that visitors keep on coming back to you. It can be your chance of improving your conversion rate while effectively promising your visitors an improved user experience. Bottom-line, when designing a website, think how users will want things to happen rather than how you want them to happen. 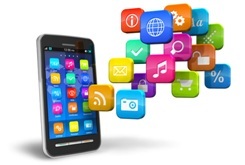 Mobile devices are quickly emerging as a promising landscape for marketers. While it may have brought along a bunch of challenges, the perks are there as well. By making the most of your mobile website, you will not only be able to showcase your creativity, but will successfully create a positive image for your brand as well. Just keep an eye on your users needs and hang on to the simple rules and you will be all set to go.